Alisha Christian says: This is simply beautiful. 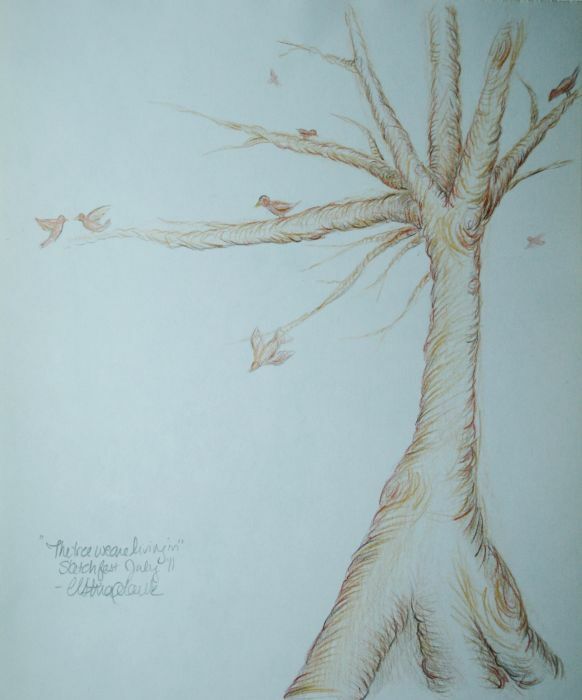 Your tree is wonderfully detailed and really comes to life with those birds. Love it! ~ Reply? Sue Rundle-Hughes says: This is lovely. I adore the birds. ~ Reply? Kate says: Yay for a tree full of birds! :D	~ Reply?